German Bundesliga giant Bayern Munich have confirmed the signing of Athletic Bilbao midfielder Javi Martinez on a five-year-contract after meeting his €40 million buy-out clause. The 23-year-old has been courted by a host of clubs, including the Bavarians and Manchester City throughout the summer, but the Basque club were adamant that they were not going to let the player leave for less than his release fee. Bayern themselves were initially hesitant to meet that price, but after confirming that they would be willing to do so a fortnight ago, they have finally got their man. "Of course this is a large sum of money," club director Karl-Heinz Rummenigge told FCB News. "But the player is indirectly participating in it by giving up a large sum of money. "It was very complicated. 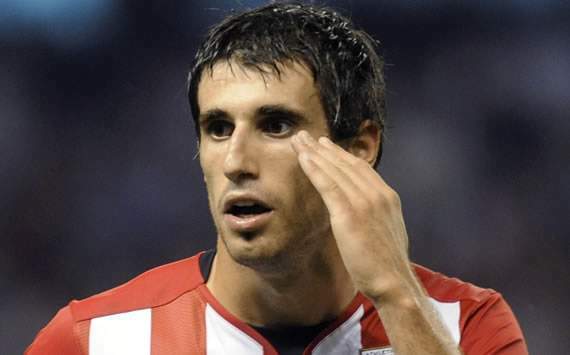 We are very happy that Javi Martinez is finally with us. In recent days, we still needed to resolve tax and legal problems. Fortunately for us, we've succeeded." For his part, the Spain international has spoken of his delight at finally securing a move to the club after such a protracted saga. "I am very happy and I'm looking forward to playing for a club with such a history," he told FCB.tv. "I've had a very long wait, but finally the wait is over." The midfielder, who can also play at the heart of defence, has signed a contract that expires in June 2017. He has spent six years at San Mames after moving to the club from Osasuna.